The Planning Committee for the Library Marketing and Communications Conference thanks all our attendees, sponsors, and partners for another successful event! In 2016 we continued to expand to accommodate more attendees, needing a second hotel to hold attendees from all over North America (and a few from Europe). 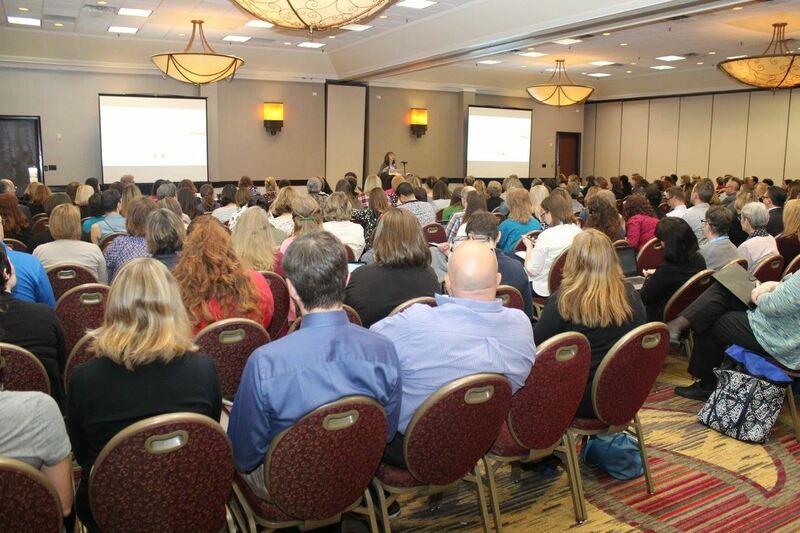 We solicited proposals for presentations that showcased the tried and true, the latest trends, and the best practices while providing practical tips and takeaways that can be immediately applied to any library's communication and marketing efforts. We went looking for speakers who have done this work long enough to have experiences and lessons to share. We used a blind process to review all submissions, making decisions both among the speaker subteam and as an entire Planning Committee, to ensure we had the best we could offer. All identifying information was removed from proposals before being sent to the team to review, so selections for LMCC are NOT about 'who you know', we want 'what you know' and to give voice and opportunity to new voices. Once again we received MANY more proposals than we had sessions available, and feel fortunate to be able to choose from among so many great presentations. It was hard to select the sessions that will make up the conference for our attendees, but we are excited and believe the presentations will showcase the tried and true, the latest trends, and the best practices while providing practical tips and takeaways that can be immediately applied to any library's communication and marketing efforts. In 2016 we had multiple tracks (9 total) on both Wednesday and Thursday, with 8 sessions across those tracks in both the morning and afternoon. 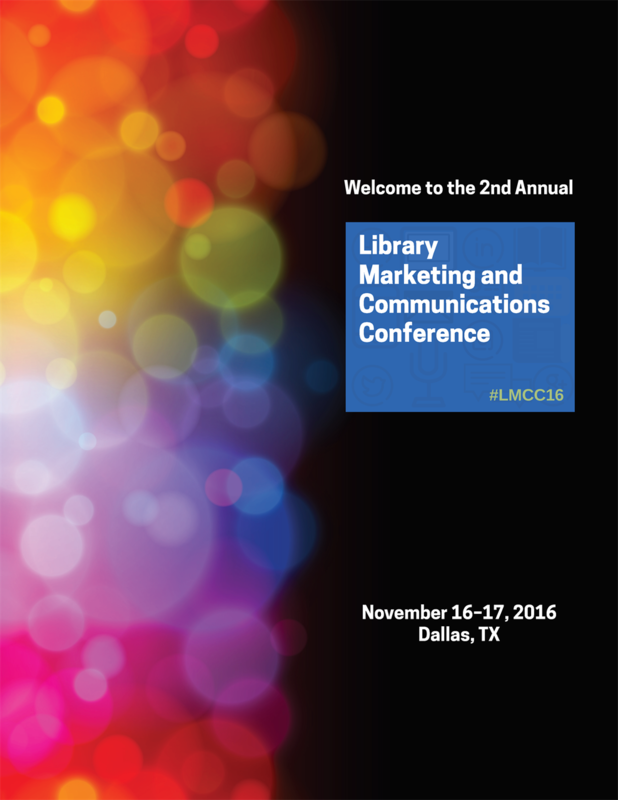 That's 32 info-packed library marketing and communications learning opportunities! Each day was led off by a keynote which both informed us, gave new ideas, and inspired many to take action when back home. 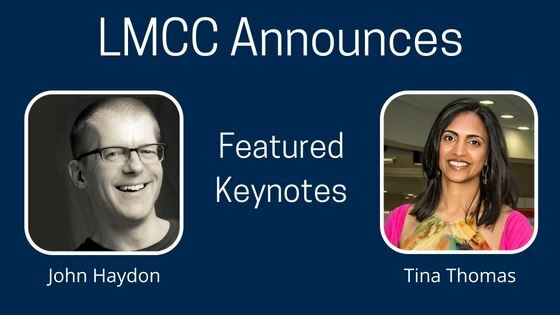 Our two excellent, high-caliber professionals to offer keynotes for 2016 were Tina Thomas of the Edmonton Public Library and nonprofit digital marketing expert John Haydon. Social media and mobile technology have certainly changed the way people engage with libraries. Everyone has a card catalog in their back pocket, along with thousands of books on apps like Kindle and Audible. How can your library stay relevant (top of mind, useful) to patrons who are constantly bombarded with competing messages from brands, friends, and the media? How can your library create value in the lives of donors, volunteers, and patrons? 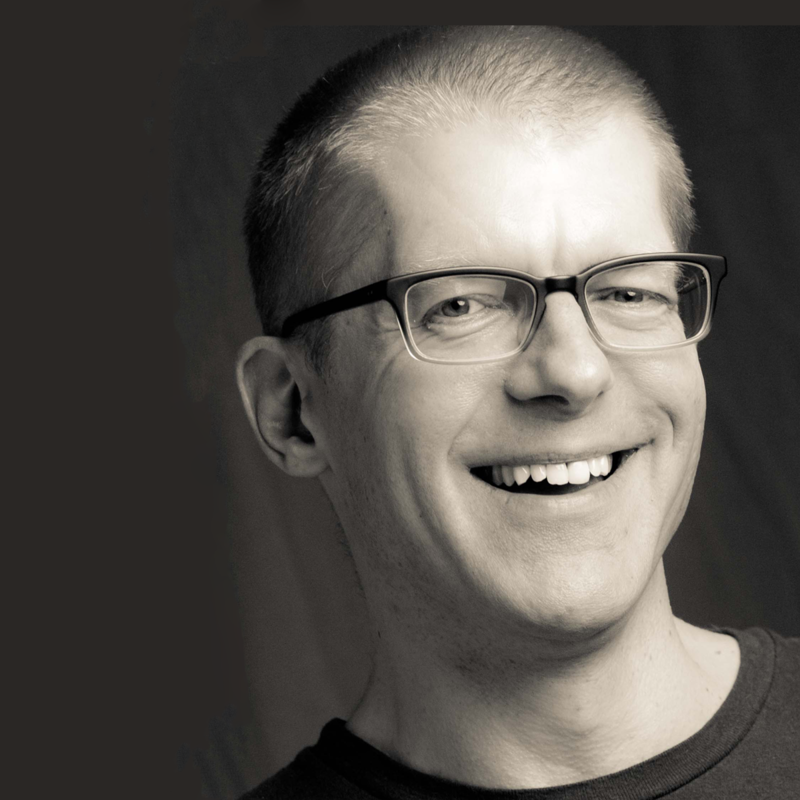 In this keynote, John Haydon will share the strategies used by the most savvy nonprofits. You will see your email newsletter, your Facebook presence, your website, and even your cardholder database in a whole new light. He helped Epic Change launch #Tweetsgiving, one of the first fundraisers on Twitter. He helped Komen Greater NYC increase their online walkathon fundraiser by 30%. He helped Twin Cities Habitat for Humanity raise over $215,000 during #GiveMN. John has spoken at the Nonprofit Technology Conference, New England Federation of Human Societies, New Media Expo, BBCon, Social Media 4 Nonprofits, AFP New Jersey, Boys & Girls Clubs, SAWA, and many other annual conferences. John is also the author of Facebook Marketing for Dummies and Facebook Marketing All-In-One (both from Wiley), and a contributor to The Huffington Post, Social Media Examiner, npEngage, LinkedIn, and of course JohnHaydon.com. Learn more about John on LinkedIn. Why are library branches so often a poor reflection of the great services, resources, and staff we have? In this visual and interactive session, Tina Thomas from the Edmonton Public Library in Canada, Library Journal's 2014 Library of the Year, will demonstrate how EPL is bringing its award-winning brand inside its locations. With a focus on system-wide standards, signage, wayfinding, merchandising, and recommendations, EPL is embracing a retail approach to its branches to better showcase services and to change the perception of libraries. Tina is the Executive Director of Strategy & Innovation at the Edmonton Public Library where she leads technology services, research and assessment, marketing, fund development and is responsible for leading system wide teams in implementing the EPL Business Plan and other organizational priorities. She joined EPL in spring 2009 after 14 years in the private sector. She has experience in a broad base of business disciplines including product and solution marketing, strategy, market analysis, and business development. She holds an executive M.B.A. from Queen's University, a Bachelor of Commerce from the University of Alberta, and a CPA-CMA professional accounting designation. Tina was the main champion and leader behind EPL’s award-winning rebranding project. 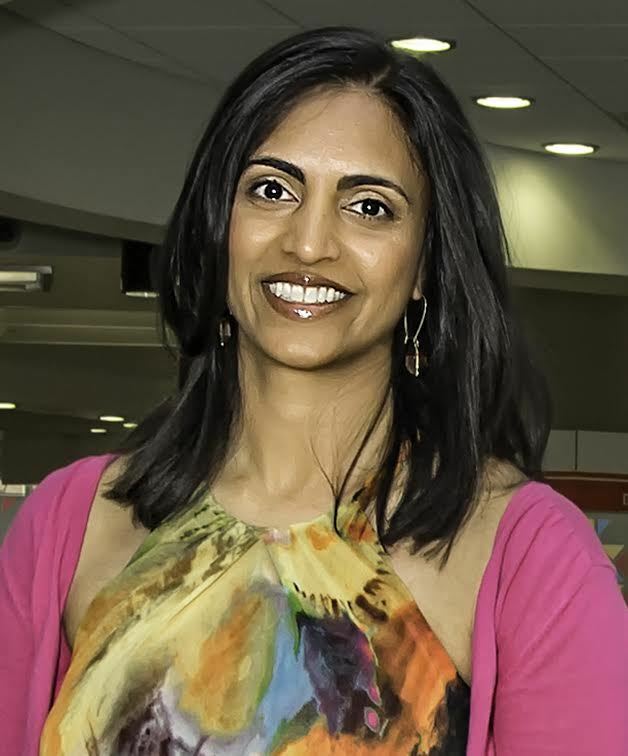 In 2013, she was named Capital Communicator of the Year by the International Association of Business Communicators, Edmonton Chapter. In 2011, she was honored as a Library Journal Mover and Shaker as well as one of the Top 40 under 40 by Avenue Magazine. At one point she could say “Do you have these shoes in size eight?” in more than six languages. Tina is also easily bribed with good chocolate. We had social breaks for chatting and networking, plus time to sign up for our dine-arounds. 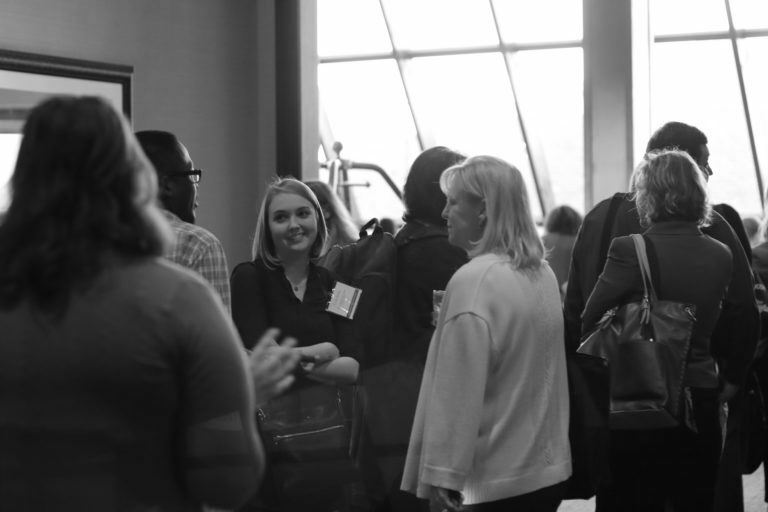 There were networking lunches on both days - Wednesday featured tables by themes or topics (Video, Surveys, Community Buy-in, PR, etc) and Thursday featured tables by region. 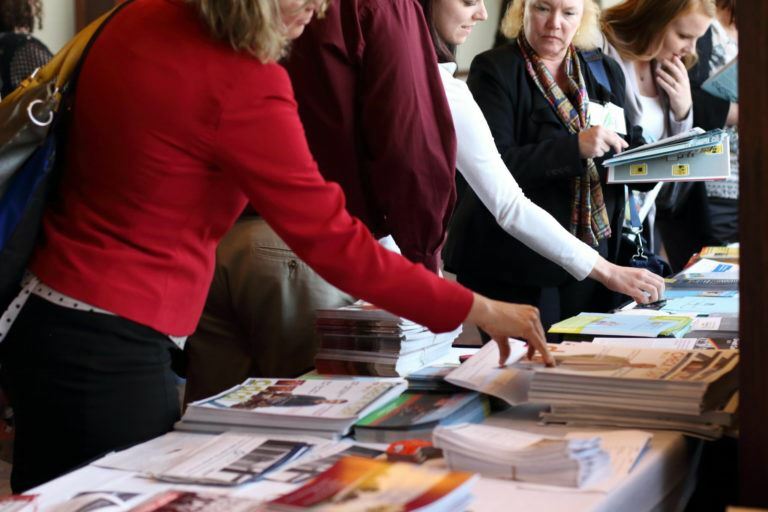 And 2016 featured a must-requested "Swag Swap", where anyone who wished to, could sign up, and bring examples of their library's marketing collateral to share and inspire fellow attendees. 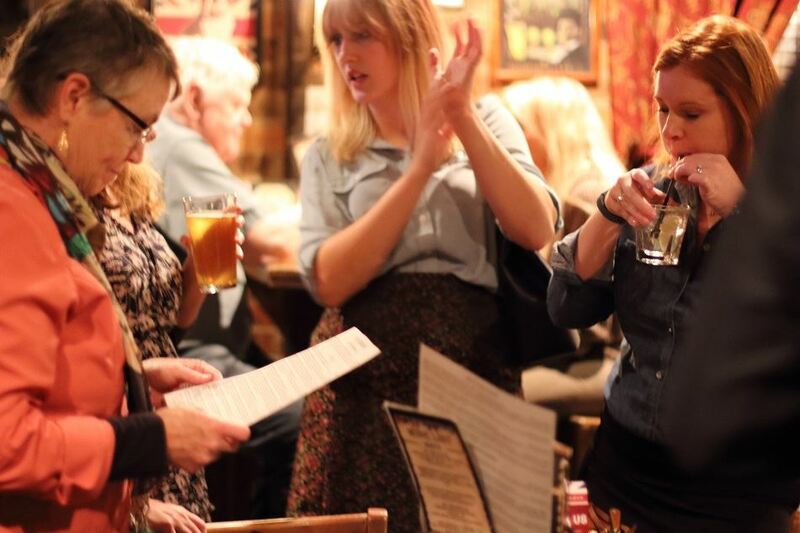 We supported the EveryLibrary PAC to provide an extra social event and hold a fundraiser at a local pub. Good times for a good cause! 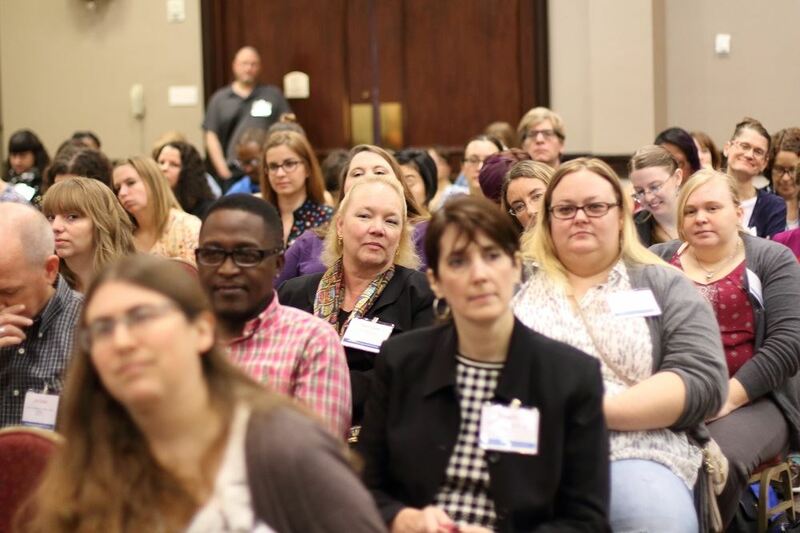 To see more photos from our 2016 conference, please check out our LMCC Flickr account where photographers Curtis Rogers, Jennifer Burke, and Kathy Dempsey have shared their event pictures.